Need to build portfolio website, Here is a list of some great tips and WordPress themes to create beautiful portfolio websites. Most of the people consider freelancing to be a quite risky job. Well, they are probably right. One week you may have a lot of work and the other one you do nothing. However, everything is not that bad. Freelancing is actually a great way to both make money and manage your precious time, of course, if you know how everything in the freelance world works. Well, perhaps the most important thing for a great freelancer is a decent portfolio that will guarantee you a lot of clients and orders. And as you have already guessed, creating a professional portfolio is what we are going to talk about. Whether you are a designer, writer, coder, or artist, the portfolio is your profile and you want it to look great. Well, a portfolio website is the best way to create a decent professional portfolio. 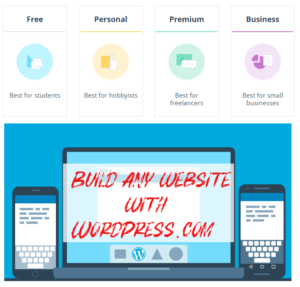 So get ready to finally find out how to make a professional portfolio website using the best WordPress themes. If you want to attract more clients then you might want them to see your best works. Thus, your works have to be in the spotlight of your website, so the potential clients will easily find them and check them out. Besides, try placing your personal information up front, because in a good portfolio you not only sell your works but yourself as well. And don’t forget to mention what you actually do. It is a simple but extremely crucial piece of advice since nobody is going to scroll your website for hours trying to find out whether you are an artist or a coder. CPM – Creative Photographer Elementor WordPress Theme will definitely help you to achieve all these goals. 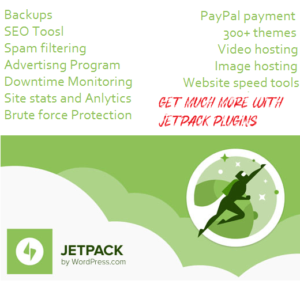 It’s a beautifully designed and bright theme that also has a set of great features that includes powerful plugins, free images, and clear documentation. If that wasn’t enough, this fully-functional theme is super easy to install and comes with a 24/7 lifetime support. You can skip including lots of images into your portfolio only if you are a writer or a coder, in other cases, you must include some pictures of your works. Visualizing indeed is very important for your creative portfolio since it literally shows your potential clients what you are capable of. So visualizing your skills is your way to success. 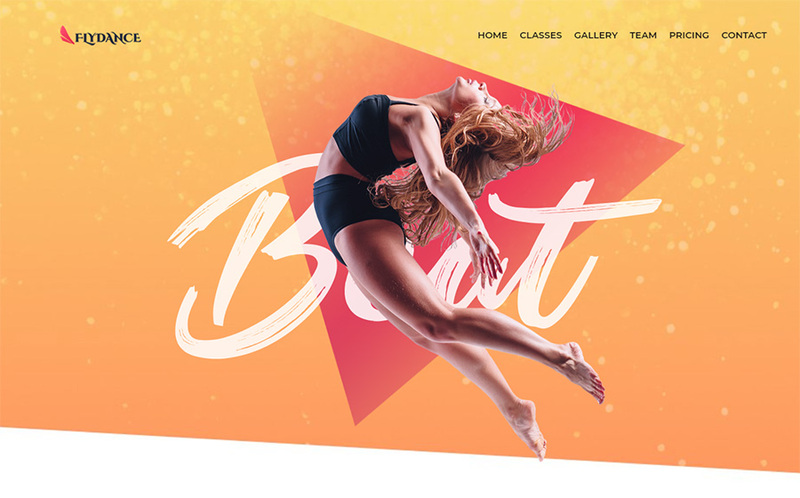 You can easily visualize all your skills with Flydance – Dance Classes Elementor WordPress Theme. This very theme is built with Elementor Page Builder, mobile friendly, and has Jet Elements Plugin. Flydance will make the building of your stunning portfolio website easy and quick. Your portfolio is not only about your skills. It is your portfolio – it’s all about you. So if you are a creative freelancer, you might want to consider placing a picture of yourself on the homepage. It will make your portfolio more personal therefore more clients will trust you. 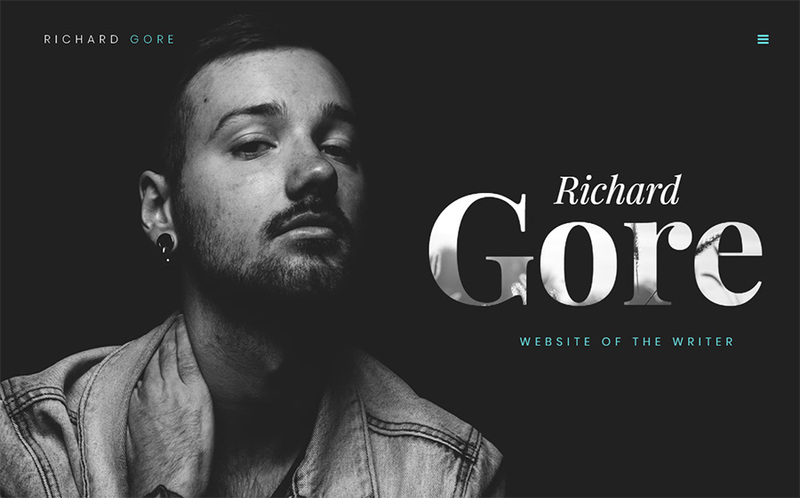 Richard Gore – Writer Portfolio Elementor WordPress Theme is a stylish theme that will allow you to include a nice picture of you on the home page. The theme is fully responsive, has a lot of free images as well as Jet Theme Core. Another great theme for such a portfolio is Actress Website Builder | Responsive Moto CMS 3 Template. The theme has all the features needed for an excellent portfolio including Blog, Audio and Video Players, Contact Form, and many more. When your potential client found out all the information about you, checked all your best works out, and decided that they want to hire you, it’s the very time for them to try and reach your out. Well obviously, you have to make sure that you gave your contact info in your portfolio as well as that it is easy to find. Include all the social media accounts you have as well as your phone number into your Contact Me section and wait for your clients to reach you out. 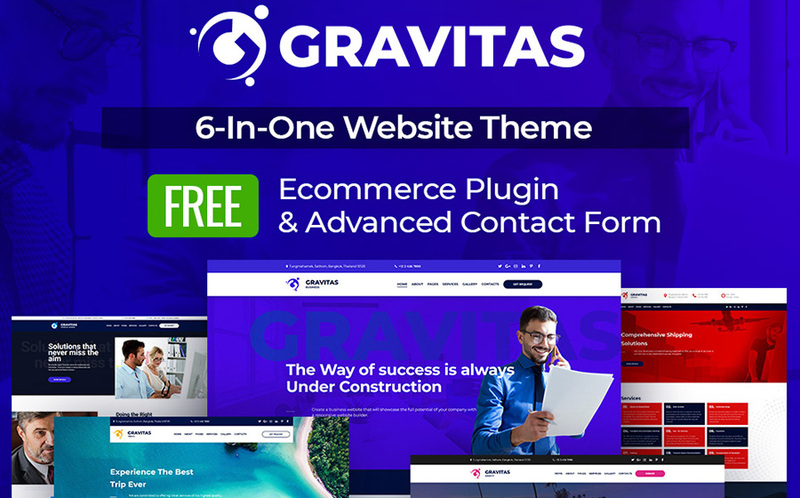 Gravitas Multipurpose Business Moto CMS 3 Template will help you to make a good Contact Form as well as many other cool sections. Among the features of this template are Visual Editor, Admin Panel, Blog, Gallery, and many more. 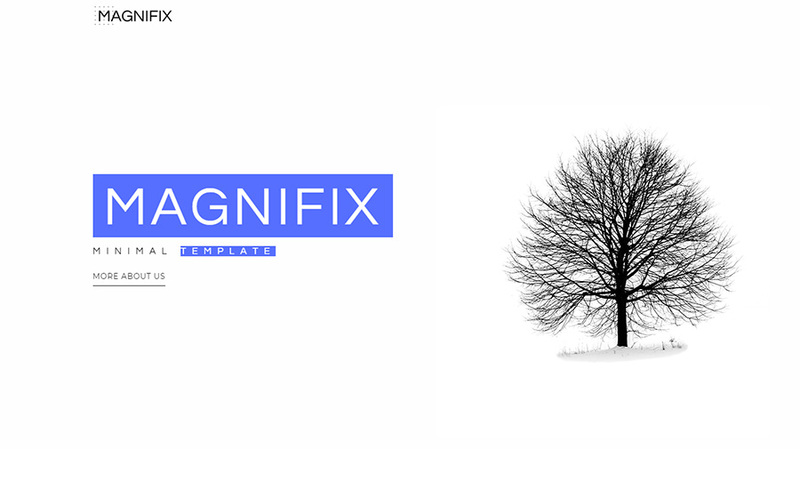 Magnifix – Creative Minimal Elementor WordPress Theme is another great theme to achieve this goal. Stunningly designed, the theme comes with such useful features as Social Icons, Image Box, Video, and many more. In order to have a lot of clients as well as plenty of interesting projects, you have to be the one and only. In other words, you have to stand out and be unique. Make your portfolio website unique, moreover, it’s better if your portfolio is weird than simply boring. Luckily, you don’t have to think a lot about the uniqueness of your website, because you can use pre-made WordPress themes such as Tommy Artistico – Photographer Gallery Elementor WordPress Theme, for example. 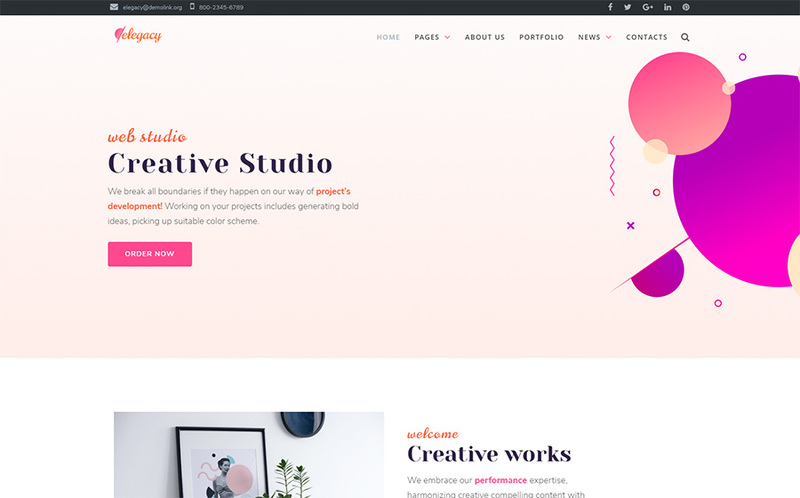 This theme is super creative and equipped with such important for a great portfolio features as Elementor Page Builder, Gallery, Contact Form, and many more. 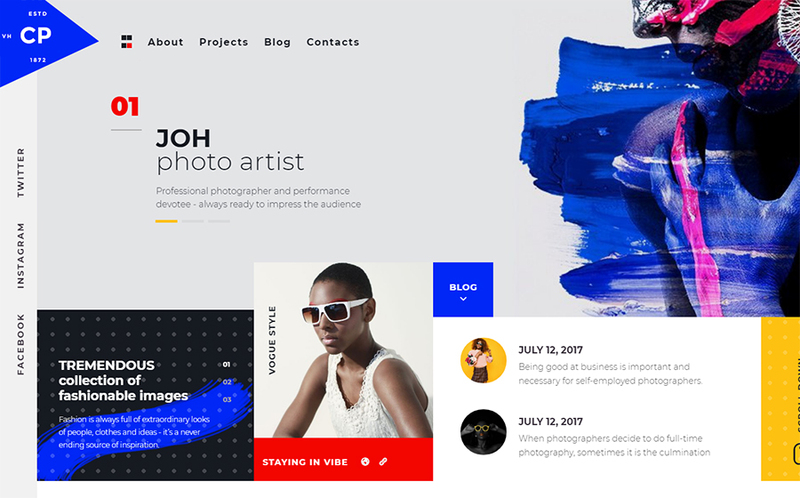 Another great creative and unique theme is Defrozo Photographer Portfolio Moto CMS 3 Template. Defonzo is a fully responsive theme with superb design, Video Integration, Contact Form, and clear documentation. 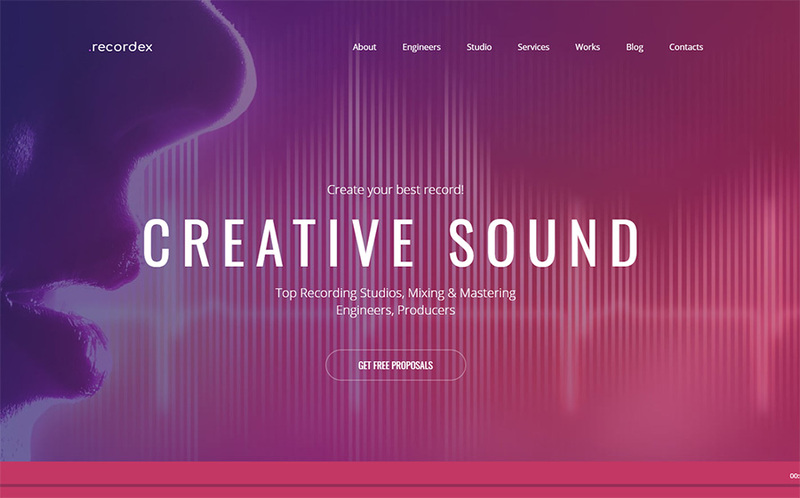 Music Online Moto CMS 3 Template is also an excellent option for a unique portfolio website. The theme is equipped with Media Library, Google Map, Social Options, as well as many other useful features. 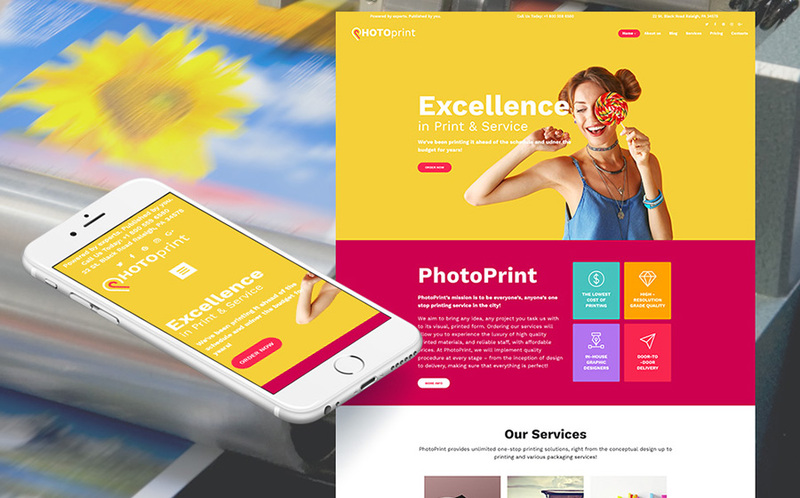 Print Shop Moto CMS 3 Template is also among the themes that will make your portfolio website just outstanding. This theme is fully responsive on all the devices and has an excellent set of features. Among its features are Contact Form, Audio and Video Players, Bootstrap, Admin Panel, and many more. A great portfolio should be trendy, fancy, and pleasant to look at. Keep up with the latest web design trends and chose the most fashionable theme. 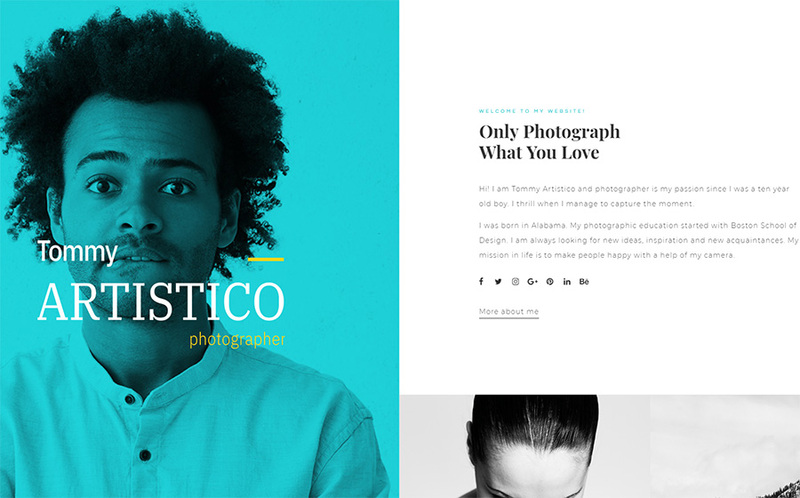 Here are some trendy portfolio website themes you might want to use. 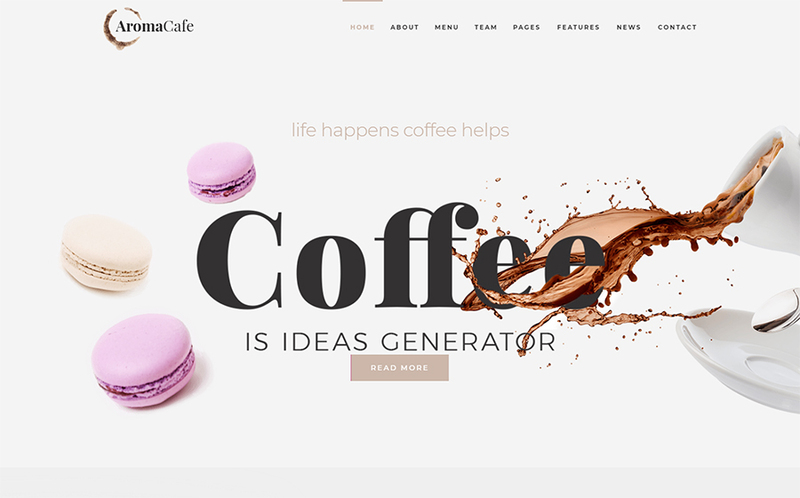 Aromacafe – Coffee Shop Elementor WordPress Theme is a stunning looking theme that will for sure make your portfolio trendy. The theme has such useful features as Live Customizer, Sidebar Manager, Timeline, Contact Form as well as many other features. Elegacy – Creative Elementor WordPress Theme is another fancy theme which is aimed to make your portfolio fashionable. Among its features are Elementor Page Builder, Long-term Support, Visual Editor, Admin Panel, and many more. 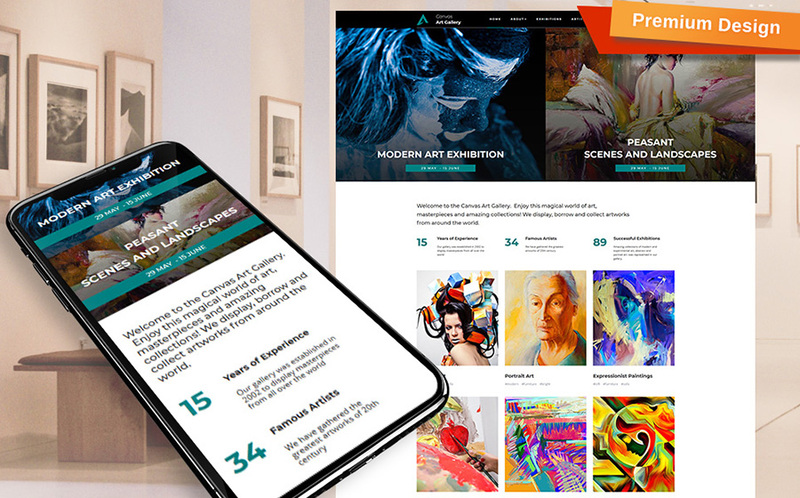 Canvas – Creative Art Gallery Moto CMS 3 Template is an eye-catching and simply stunning template that will definitely make your portfolio unforgettable. Canvas is equipped with such important features as Bootstrap, Visual Editor, Admin Panel, Social Options, and Google Analytics. Do not make your portfolio too bright and eye-catching. Keep it simple and elegant, since you want your potential customers to be focused on your works, not on the insane design of your portfolio. Here are some themes that you might find suitable. 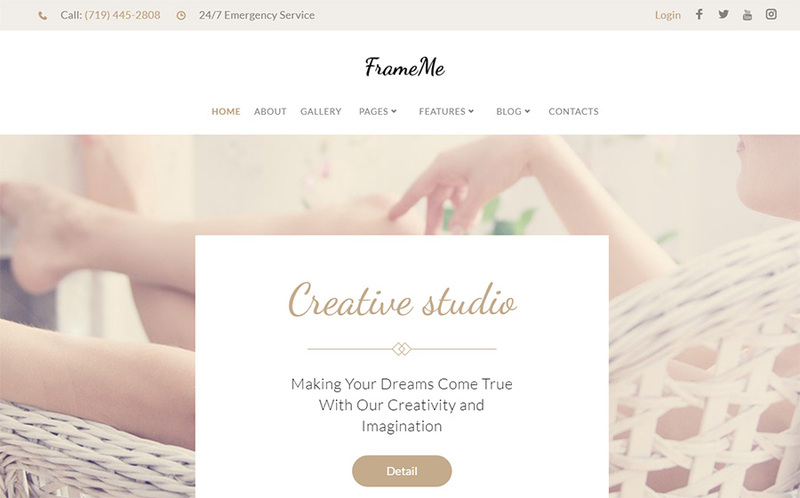 FrameMe – Photography Studio WordPress Theme is an elegant theme equipped with such features as Sidebar Manager, Social Options, and Easy Installations, and many more. 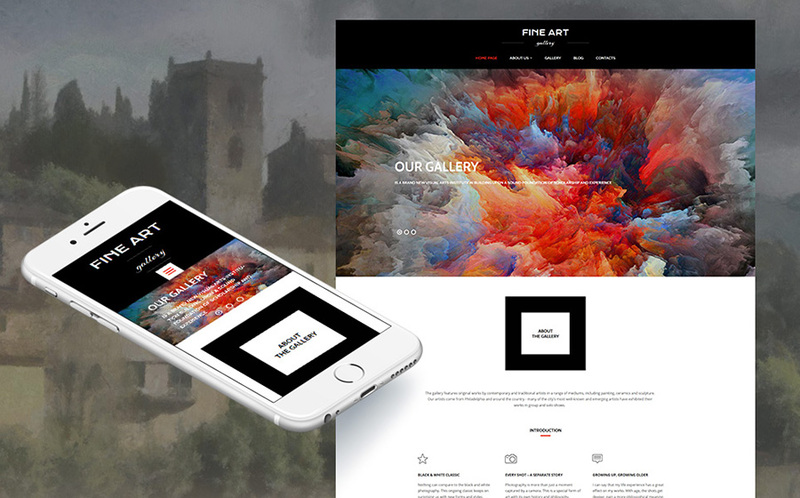 Another simple and stylish template for your portfolio is Art Gallery Responsive Moto CMS 3 Template. This beautifully designed template comes with a great set of features including Optimized Source Code, Visual Editor, and Admin Panel. In conclusion, I daresay that creating a portfolio website is a big deal and a great portfolio will help you to conquer the freelance world. On the other hand, making an excellent portfolio is pretty easy with the help of any of these amazing themes and templates. So don’t waste your time and start creating your perfect portfolio website right now.